Just to say, my interview with Sosandar (LON:SOS) management (in which I hold a long position) has been delayed until next week, due to delays from my side collating all the questions & planning the thing. Sorry about that. So there's a window for any late questions from you - please add any additional questions into the comments section below. Thanks. I've been mentioning for a while, how the recent market sell-off seems to have been fairly indiscriminate in nature. This has created (selectively) some smashing buying opportunities. Indeed, we're seeing strong rebounds in some shares recently, on reporting good news. Some people like to imagine that the chart tells us everything about the company. Sometimes it does (e.g. if insiders are selling, due to a poor outlook), but sometimes it really doesn't, especially with small caps. All the chart is actually telling us, is a gauge of the current balance of investor sentiment. In a small cap that can be the actions of just a handful of people transacting in the marketplace. Everyone else is doing nothing - as the bulk of the shareholder base will not be transacting at all, most of the time. Institutions generally don't buy in the market for small caps, because there's inadequate liquidity. Buyers & sellers could be backed up, unable to trade in the size they want. Put this together, and it means that, at times of high investor anxiety over macro factors, small cap prices can deviate considerably from what is logical. Therein lies our opportunity. Water Intelligence plc (AIM: WATR.L), a leading multinational provider of precision, minimally-invasive leak detection and remediation solutions for both potable and non-potable water is pleased to announce a series of corporate transactions that reinforce its growth trajectory for 2019 and beyond. These transactions underscore that American Leak Detection ("ALD") and UK-based Water Intelligence International ("WII") business lines are complementary and growth is accelerating. A couple of observations on Elektron Technology (LON:EKT) . I saw them present last year. They covered a bit of the history. Several years ago they decided to move production from China to Morocco. When the equipment arrived in Morocco, the insides had been stripped of the electricals. Somebody sabotaged all the equipment. It took a long time to recover from that. The business has also been reshaped in the intervening period. It's important to bear in mind this is currently a collection of businesses on an aggregate high teens P/E. EET makes eye checking equipment; makes about £0.1m contribution to EBITA; and is being sold. Bulgin produces £9.0m of 1/19 EBITA and Checkit about -£4.5m 1/19 EBITA. These are Equity Development estimates for period ending 1/19. Bulgin is a very good business with very high returns. It makes electrical and other connectors for harsh environments. Watch some of the videos here - https://twitter.com/EKT_Bulgin. They sell through distributors but have agreements to receive end-user order data. Average order value is about £250. They said that about 66% of the revenue comes from their product having been designed in to the drawings. They believe their customers are not particularly price sensitive. If you have to hire a ship and a diving robot to replace a connector in a deep sea cable, an extra fiver on the cost of the connector is the least or your worries. Checkit does electronic checklist keeping/updating mostly (at the moment) for restaurants and foodservice. There are new regulations that will drive demand here. The example they gave was that of checking the temperature of the chilled foods in a restaurant. At the moment there's a piece of paper taped to the walk in where the employee writes down the temp every few hours. Apparently these are mandatory. The Checkit solution is to combine a temp sensor in the walk in and software to measure it continuously. Added features like an alert to the restaurant manager's phone if the temp goes above a limit (better call the repair person). They see lots of opportunity to create customised checklists that can be kept/updated on phones that could be combined to create management dashboards and/or supporting documentation in regulated industries (did you clean the rods in the reactor, Homer?). It's a SaaS business so creates nice subscription revenues. Management have very high hopes for the Checkit business but it's not due to be breakeven until year ending 1/23 and there's lots that can happen in the meantime. My wife asks why so few dresses with sleeves! They said that about 66% of the (Bulgin) revenue comes from their product having been designed in to the drawings. They believe their customers are not particularly price sensitive. If you have to hire a ship and a diving robot to replace a connector in a deep sea cable, an extra fiver on the cost of the connector is the least or your worries. The excellent Elektron group return numbers (ROCE 25%/ROE 20%) lead me to believe that they must (somewhere) have an Economic Moat - Now I see where and why it is. Having a reputation for high reliability and such a high proportion future Bulgin division sales specified by project designers is a tremendous advantage. If the the breakeven Eye division is to be sold and new Temp monitoring division is loss making, their impact will be diluting average group return numbers, so the Bulgin component return numbers must be tremendous. down-votes seem to be getting more common on the SCVR: there is a cadre of devout followers and a cult of personality at play. Woe betide those who speak ill for upon them shall be cast down votes 'til they and their wayward thinking be smote and group think is restored.  I think your post is disingenuous. You make it sound like there is some sort of weird cult culture here. I think the reasons JLHammo got so many downvotes are more prosaic. Thirdly, the enthusiasm he/she showed for Small Company Share Watch seemed to me to be the point of the post. And no one likes people ramping things here. I checked my notes from the Elektron Technology (LON:EKT) meeting. The designed in element of sales was said to be 55-60% which I inadvertently overstated. The ROCE on Bulgin was said to be 160% aided by the fact they had 1,500 fully depreciated moulds. "why so few dresses with sleeves!" Firstly, I used to own Amino AMO but felt the share had gone up too much and the earnings were too uneven. I was just reading yesterday's release as a matter of interest when it struck me that so many of the younger generation seem to be watching TV on smartphones and tablets. Doesn't this mean that the day of the set-top box (or similar) is shortening, or does the emergence of Amazon TV etc bode well? I simply don't know and whilst the comments on the trading seemed to suggest that Amino was at the front of the technology pack I would like to hear from a real expert in the area to see whether their offering remains l-t releveant. Secondly a very good point on the release of net cash data within the comments on Water Intelligence. I simply take the end period figure released and base ratios on it. Silly, really. Very sensible comments - but how do we get them actioned? Perhaps they are not the target! Re Sosandar (LON:SOS) I note that the models seem to be young and attractive. Not sure the average buyer is in the same league. Is the company selling an idealised reality product? 1) Customer footprint is still very small. 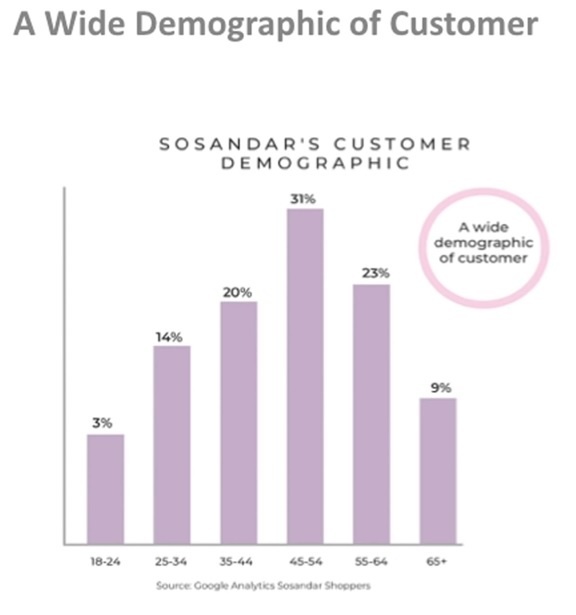 How much is the current business development focused on satisfying the preferences of a fairly narrow customer base rather than a broader spectrum of 25-55 yr olds? 2) Is the customer base more affluent than expected at launch? 3) If 1 and/or 2 above are correct then what is the implication for growth trajectory? How has it changed your future plans? Stay niche and higher margin with lower complexity in terms of design, manufacture, distribution and marketing? Or expand into a broader catalogue, customer base and lower margin 'faster' fashions? The trade off will be between faster but lower profit growth and slower but more profitable. 4) Sosandar seems as if it has a UK centric sensibility that may not internationalise easily. Is there an international plan and if yes what do you need to do to adapt? 5) The Sosandar image seems to sit somewhere in a fashion and lifestyle context. Do you see commercial value in developing the lifestyle element further or will it always be merely part of marketing? What kind of offerings could you envisage as part of a Sosandar lifestyle offering? For example, non clothing products, experiences, etc. 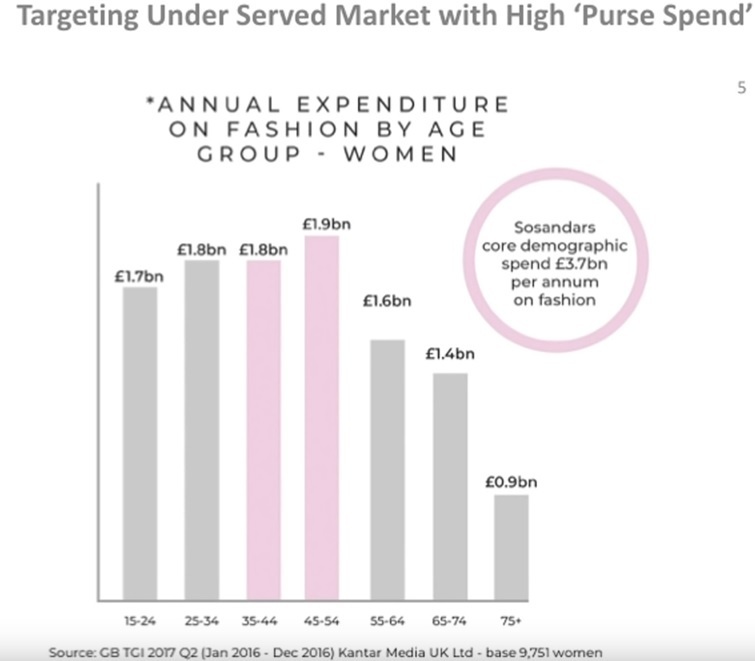 With the high street and associated brands being decimated there is a space emerging for replacement brands....anything that Sosandar can monetise? Nearly all Sosandar's dresses DO have sleeves! Many thanks Paul. I was tempted by Elektron Technology (LON:EKT) until I remembered a word of advice - can't remember from where but I think an article on Hargreaves Lansdown - that one should never buy an AIM share that doesn't pay a dividend. You mentioned the lack of dividend in your report and for. that reason I'm no longer tempted. Last few days since reporting revenue reduction on 5-Feb in their final results, we can see a very high level of share transactions. AMO has a free float of 72m shares yet around 7m changed hands, which is quite the distribution. Management have committed to pay this level of dividend through 2020. Is it a value trap or bargain ? AMO provide set top boxes and software to mid/small pay-TV companies. From the results, of their $88.9m 2018 revenue $79.6m came from 'Devices including integrated software' and the rest from Software and Services. Now the problem is, as their commentary alluded to, hardware is a bad business to be in, so they want to pivot to software and services. Good thinking, but can they do it, given the vast majority of their income has come from devices? It will depend if they can successfully unbundle the OS software in the devices, let clients buy their own hardware but licence their OS into the third party hardware. The other negative of course, is in the long term these smaller content providers will all have to move to major platforms, like Android TV or be wiped out - no-one will pay for niche content or set top boxes once the big players control device streaming. AMO recognise this, as they discuss their premium wrapper service for Android TV to support their clients moving to this new platform. So the bull case is AMO management seem to see the winds of change and are talking the right ideas. The bear case is the majority of their revenue is at risk if they don't make the pivot to software successfully, or, Android TV becomes so good, their clients just move to that and don't need AMO any more. Me, I think they might get away with paying the dividend next two years, they have the cash, but after that some media platform, e.g. Android TV could kill them off as the smart TV manufacturers pick it up. Otherwise if the market remains fragmented, they have a business supporting the various content vendors. It's made me think, I have some of these and was hoping that the brains in Cambridge could tackle their fall in sales.I have no crystal ball on their move to more software focus. Great summary from JWebster on Amino Technologies. The future of smart TV has to be easy to use operating systems with no set top boxes. Many of the Smart TV producers must already be working on this and it would be good to know if Amino are in on this development or whether they will just be edged out. I may have a punt given their past success they no how to operate effectively with these systems.